This is the biggest day of your life so far and we are dedicated to making your image reflect this awesome day! We've been doing weddings since our start in 2007 and we absolutely love helping couples of all kinds achieve their beauty goals. 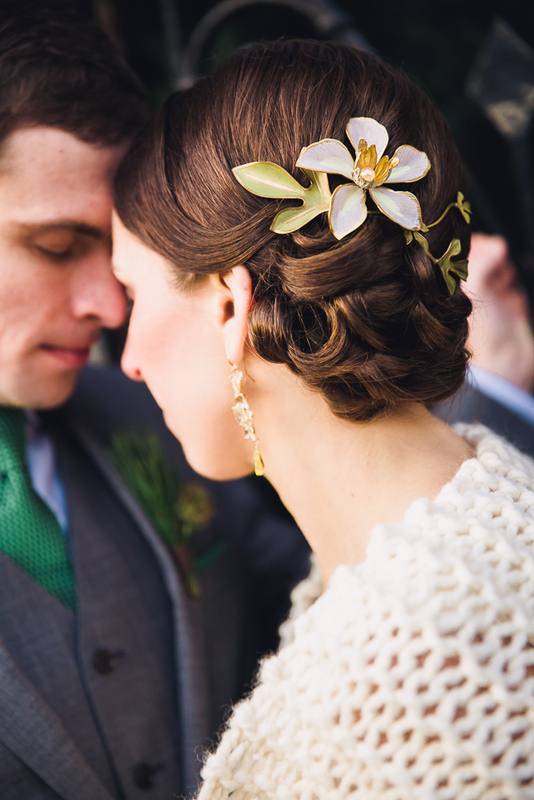 Our stylists are dedicated to wedding perfection and giving couples the space to authentically express themselves. We specialize in Dinair Airbrush Make-up, We love this highly customizable product which allows us to tailor your look for a photo ready finish. We also use traditional makeup. Come in for a Trial and see for yourself, use the contact form below and give us all the details and any questions you have. Let us make your beauty dreams a dazzling reality. Your service before your big day where we do a trial run of the hairstyle you desire. Your service before your big day where we do a trial run of the makeup look you desire. Lashes are included in the trial makeup service. Your service before your big day where we do a trial run of the hairstyle you desire. This price is higher than in salon as it is for if you wish your trial service to be performed outside of the salon or at a time when the salon is not normally open. Your service before your big day where we do a trial run of the makeup look you desire. Lashes are included in the trial makeup service. This price is higher than in salon as it is for if you wish your trial service to be performed outside of the salon or at a time when the salon is not normally open. Our work was featured on the cover of the Washingtonian Bride and Groom for Spring 2015 with Mallory + Philip. Wedding blog, United With Love , mentioned us for Alexandria, VA for a Torpedo Factory wedding with Anne + Matt. Wedding photographer, Kate of Kate Fine Art Photography has wedding photos on her site of Katharine + Jose. Brides Washington mentioned us in an issue of theirs with Elizabeth + Eric. We require a non-refundable $250 deposit due upon completion/signing of the contract. This fee will go towards services rendered the day of the main event. *$600.00 Minimum for on site events + 18% service fee for services performed on site and within a 60 mile roundtrip distance of our salon's location. **For on site services that are more than 60 miles from the salon's location, there is an additional $3 charge per mile over 60miles. Wedding images copyright their respective owners and are direct links to the articles these brides were featured in, however they do accurately represent work our stylists have done at these weddings.